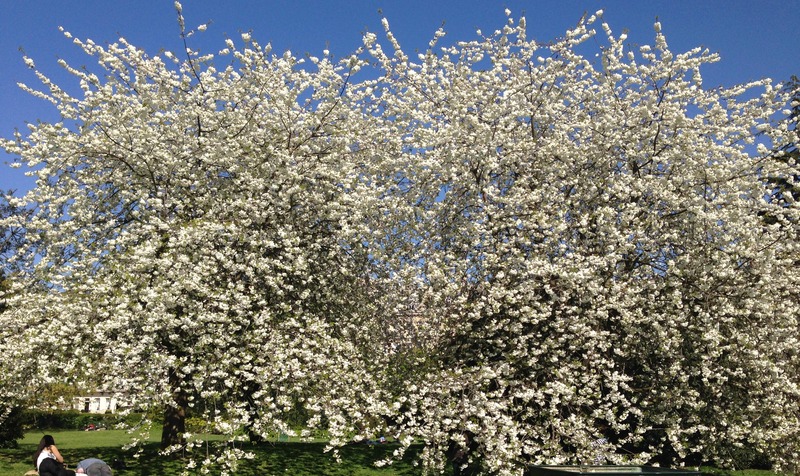 Our fruit trees are looking magnificent at the moment, festooned with all their blossoms! 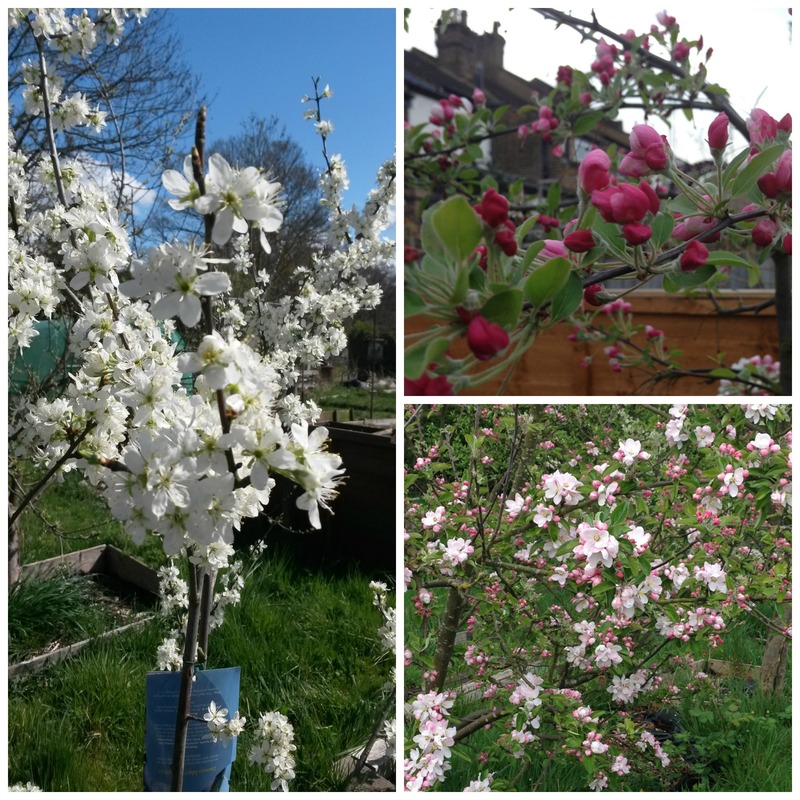 Apparently, it’s been a particularly good year for blossom because the warm days and cold nights have prolonged the flowers. The trees in Regent’s Park, where Ade is doing his RHS course, look particularly spectacular (above). I hope these fabulous flowers translate into a bumper crop of fruit for us all! I envy you. In Maine, there are no blooms yet. But soon! The trees are budding. It will be another two, maybe three, weeks before we have blooms in Maine. Spring comes slowly to northern New England. I hope you have a bumper crop too. And interesting that the particular weather has kept the blossom going longer.